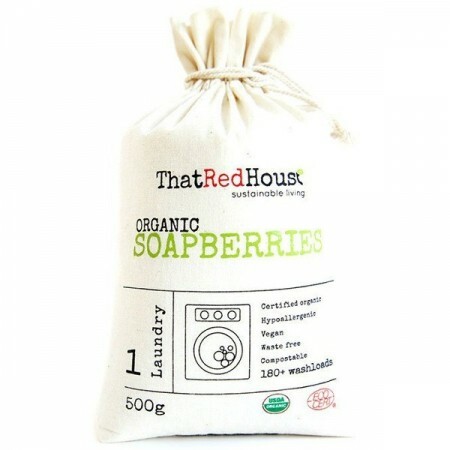 ThatRedHouse Organic Soapberries or Soap Nuts are the natural alternative to traditional fabric softeners and laundry detergents. Harvested from the Sapindus Mukorossi tree, these fruits are a 100% natural way to wash your clothes. 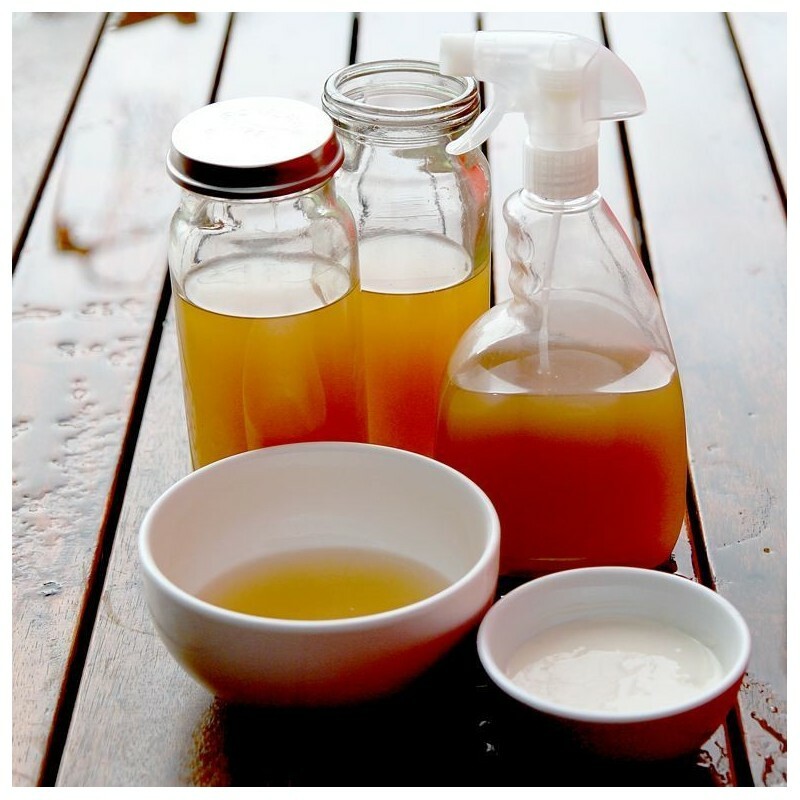 Can also be used as a concentrated all purpose liquid soap. 500g = approx. 180 washloads. Supporting the 'Grow Nepal' initiative which creates a future for the Nepalese people, and protecting the trees helps reduce deforestation in the Himalayas. Reducing pollution by using a raw plant product with almost no processing or packaging and that is fully compostable. Completely chemical free, grey water safe, septic safe. No plastic bottle - calico bag can be reused and nuts can be composted at the end of use. Place the equivalent of five whole shells in the small cotton bag provided. Add bag to normal washload and remove when finished. Use warmer water for heavily soiled loads (40-60 degrees). Re-use the same shells for approx. four more loads. When finished, shells are thin and brittle, at which point they can be added to your compost to break down naturally. You can also make a multi-purpose liquid by boiling the berries for 15 minutes, and use the liquid for anything, from shampoo to a cleaner. 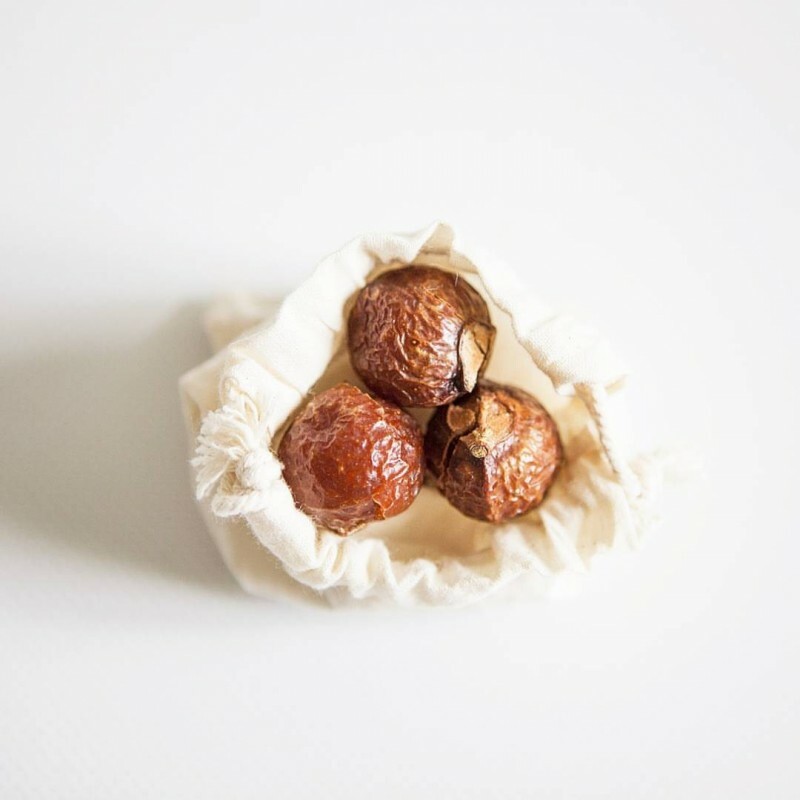 The dried shell of the fruit of the Sapindus Mukorossi tree is exceptionally high in 'saponin' which is nature's soap. Money saving. 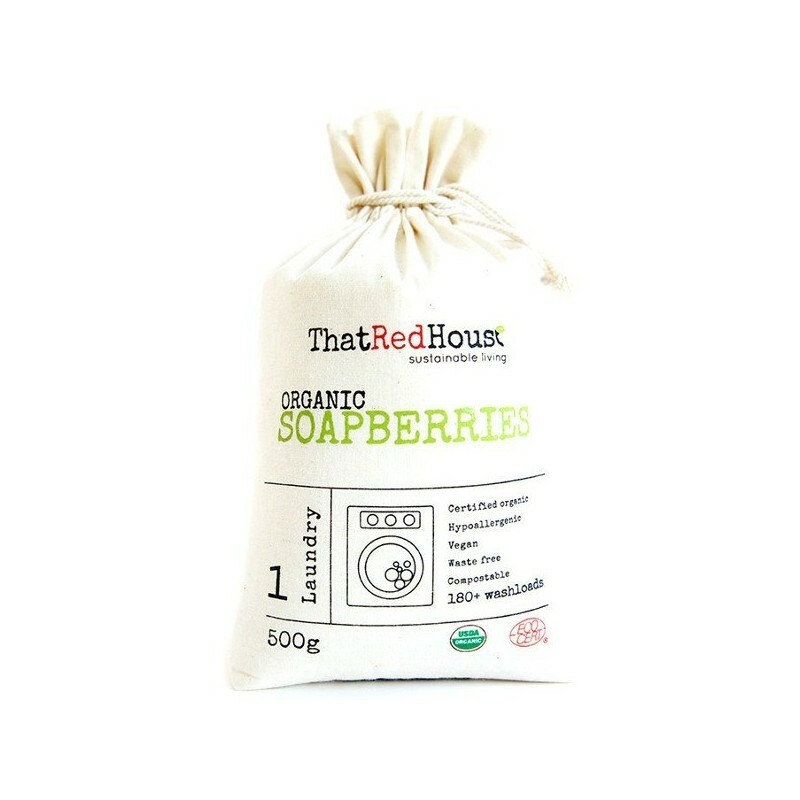 Soapberries cost around 10c per wash load for a 1kg bag. Compared to conventional washing powders, they can save you a great deal over the course of a year. Data supplied by That Red House. Hypo-allergenic. Perfect for those with sensitive skin or allergies. Packaged in resuable draw string bag with small wash bag. 500g (180+ washloads). Includes two small wash bags. USDA and ECO CERT certified organic. This product works great with all of our washing, a fantastic natural alternative! These are awesome for most of our family washing. Not quite as effective on heavily soiled garments but the good far outweighs the negatives. They last for a long time and love how gentle they are on the planet. Love that they are natural but wash doesn't seem to be as good as regular washing powder and I don't really like the smell. Will probably try something else next time.